We were told that civility would return once Democrats regained the House of Representatives. In fact, we were told that was the only way civility would return to a world of angry liberal mobs assaulting and shouting down anyone who dare not agree with them. We were lied to. Being lied to by liberals is not a surprise. What is a little surprising is how quickly, boldly, and proudly they broke their word as if no one would remember the promise. 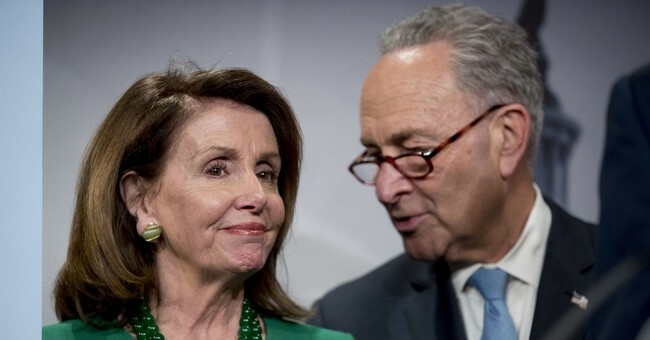 After winning the House, as expected, Democrats immediately turned the thermostat up to 11 by promising to investigate everything Donald Trump ever did. His high school girlfriends should be expecting a subpoena. In the name of civility, Democrats openly spoke about going after the President’s tax returns and business records. Elsewhere, in the name of civility, liberals declared their losses in Georgia and Florida to be the result of racism. Unable to fathom the prospect that voters in those conservative states might not be fans of socialist policies, they ignored the history of Florida having twice voted for a black man for president and defaulted to their standard position when denied anything. Then there was the distinctly uncivil attack on Tucker Carlson’s house while his wife was home alone. Tucker is an outdoorsman and hunter, so I’d say it was lucky that the brownshirt wing of the Democratic Party chose to attempt to kick in his door when he wasn’t home. But considering they know when he’s on television, it wasn’t luck at all, it was cowardice. A shame, really. Like the promise of civility, Democrats no longer want what they say they do the moment they get it. At least with the removal of Sessions there could be some good to come along with it. House Republicans have been seeking documents from the Justice Department for more than a year regarding the Russia investigation and how it came to be. Rod Rosenstein, the man overseeing it since Sessions recused himself, has refused. Acting AG Matthew Whitaker could, and should, order the release of everything House Republicans want to see in the next 6 weeks, while they and he are still in charge. He should also order the release of Obama administration documents related to Fast and Furious and anything else Republicans have asked for. If the court case to force his removal since he wasn’t Senate-approved succeed, every policy decision he makes will be reversed. But the release of documents can’t be reversed. Once the Democrats take over in January they will have no appetite for anything embarrassing to Obama and his cronies, and a new AG may bow to the permanent bureaucracy as the last one did. It could be now or never. Democrats aren’t even going to pretend their word is worth more than a pile of soiled diapers anymore, Republicans need to get this through their heads and act accordingly. Civility isn’t coming back until incivility stops working. Liberals learned Tuesday that there are very few consequences for bad actions. Since then it’s been a stream of even more – thwarting of state election law in Florida, ballots being “discovered” in strange places, more cries of racism when things don’t go their way. Hell, even Jim Acosta has become a martyr to the left for rudely monopolizing more time than any other attendee at a press conference while trying to start a debate over the word “invasion” with the President. Rather than reprimand him for physically preventing an intern from having the microphone so he could shout another talking point after he’d already asked 2 “questions,” his bosses cheered him and his colleagues, whose time he was taking, defended him. No action, no matter how unprofessional, will be met with scorn if it’s done to advance the cause. Even much of the condemnation of the attack from the left on Carlson’s house was tempered with a “harassing people in their homes is wrong AND counterproductive to the cause” attitude. They didn’t care about the act as much as they cared about how the video of the act could cost them support of normal Americans. It’s a sickness. You didn’t find conservatives in any position of authority cheering for life-threatening injuries when Supreme Court Justice Ruth Bader Ginsburg fell and broke 3 ribs this week. In fact, the response from the right was just the opposite. Now imagine if it were Justice Clarence Thomas. And don’t forget to subscribe to his daily podcast, it’s informative, funny and it’s free! Together, his podcast and book will keep you sane and just might help you deprogram friends and family who’ve fallen prey to the mob mentality. Plus, you’ll laugh a lot too.